Thoroughly revised throughout, the fifth edition focuses on major trends since 2012, including changing power dynamics, increasing threats to peace and security, and the growing challenges of climate change and sustainability. 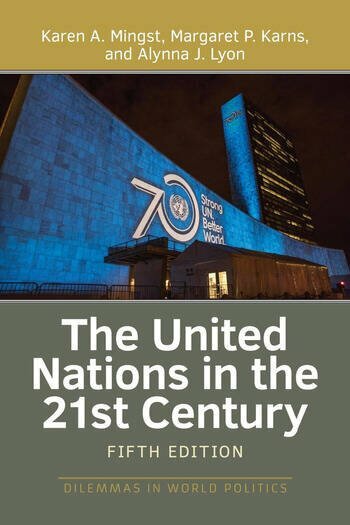 It examines the proliferating public-private partnerships involving the UN and the debates over reforming the Security Council and the Secretary-General selection process. This edition also includes new case studies on peacekeeping and the use of force in the Democratic Republic of Congo and Mali, transnational terrorism and the emergence of ISIS, the Security Council's failure to act in Syria, the Syrian and global refugee/migrant crisis, and the conclusion of the Millennium Development Goals and framing of the Sustainable Development Goals.